This 5" stainless steel cookie cutter set is absolutely adorable! 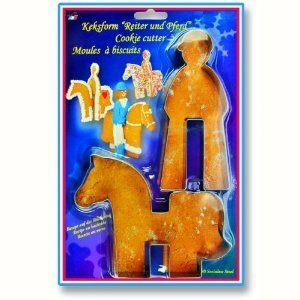 The horse and rider cookies stand up, making an unforgettable display at your party! Use the ginger bread recipe on the back of the packaging and kids will have a blast making these 'stand-up' cookies!